People may recall the passionate justification that prime minister gave on November 8 when he announced the decision to demonetise currency notes of Rs 500 and Rs 1,000 denomination. The entire country was thrown into a financial turmoil because more than 85% of the currency notes in circulation had suddenly stopped being legal tender, except in a small set of transactions permitted by the government. Ever since, people have queued up before banks to deposit the demonetised notes and collect the value of the same in the small instalments that the government had permitted. People bore this drudgery with patience, hour after hour, day after day and week after week as the promise of dealing a death blow to black money, ending terror financing and combatting corruption - all long standing ills plaguing the formal economy- appeared truly exciting. In the process scores of citizens died on both sides of the cash counter- those eager to deposit the old notes and collect the replacement as well as bankers who facilitated this exchange. It is too early to make a sound assessment about whether this was a price worth paying. The time limit for depositing the demonetised notes ended on December 30, 2016. However the Gazette notification through which the demonetisation decision was announced, provided that a procedure would be laid down for depositing the demonetised notes after December 30, 2016. "2(ix) any person who is unable to exchange or deposit the specified bank notes in their bank accounts on or before the 30th December, 2016, shall be given an opportunity to do so at specified offices of the Reserve Bank or such other facility until a later date as may be specified by it," reads the notification. "3. What is the Specified Bank Notes (Cessation of Liabilities) Ordinance 2016? The Specified Bank Notes (Cessation of Liabilities) Ordinance 2016 has been promulgated by the President of India (GoI Ordinance No. 10 of 2016 dated December 30, 2016) to provide for cessation of liabilities on the Specified Banknotes and for connected/incidental matters and comes into effect from December 31, 2016. In terms of this ordinance, with effect from December 31, 2016, the Specified Bank Notes shall cease to be the liabilities of the Reserve Bank of India and shall cease to have the guarantee of the Central Government. A grace period has been provided during which the Specified Bank Notes can be deposited at five RBI Offices (Mumbai, New Delhi, Chennai, Kolkata, and Nagpur) in accordance with this Ordinance by Indian citizens who make a declaration that they were outside India between November 9 and December 30, 2016, subject to conditions or any class of persons for reasons that may be specified by notification by the Central Government. The Reserve Bank, if satisfied after making the necessary verifications, that the reasons for failure to deposit the notes till December 30, 2016 are genuine, will credit the value of notes in the KYC (Know Your Customer) compliant bank account of the tenderer. Holding the specified banknotes (SBNs) for the purpose of deposit by Resident Indian citizens who were abroad during November 9, 2016 to December 30, 2016 and Non Resident Indian citizens who were abroad during November 9, 2016 to December 30, 2016 is permissible during grace period. With effect from January 2, 2017 Resident Indian citizens who were abroad during November 9, 2016 to December 30, 2016 can avail this facility up to March 31, 2017 and Non Resident Indian citizens who were abroad during November 9, 2016 to December 30, 2016 can avail this facility up to June 30, 2017. While there is no monetary limit for exchange for the eligible Resident Indians, the limit for NRIs will be as per the relevant FEMA Regulations. In terms of Section 6 of the Ordinance, whoever knowingly or wilfully makes any false declaration shall be punishable with a fine which may extend to 50,000 INR or five times the amount of the face value of the SBNs tendered whichever is higher. Any person aggrieved by the refusal of the Reserve Bank to credit the value of notes as mentioned above may make a representation to the Central Board of the Reserve Bank within 14 days of the communication of such refusal to him/her." What is wrong with the RBI's FAQ when read with the Ordinance? (ii) Such class of persons and for such reasons as may be specified, by notification, by the Central Government." as the grace period for the purposes of the said Ordinance:"
So this second notification is designed to cater to the interests of only the rich and the affluent- those who had the means to travel abroad or NRIs who live abroad. As explained above, Section 4(1) of the Ordinance empowers the government to notify other classes of citizens also who can avail the grace period for exchanging the demonetised notes. The government has simply not issued any specification about this second category of citizens, till date. While the Ordinance permits a way for citizens living in India who missed the December 30 deadline, to exchange their demonetised notes the government has simply not chosen to enforce this provision. This amounts to reneging on the promise that the prime minister made on November 8 and the commitment made in the government's notification of that date. Is this an administrative delay or an administrative lapse or put bluntly, skulduggery? Given the noble objectives behind the demonetisation exercise, according to the official version dished out, the principle ought to have been maximum pain for those whom the exercise was targeted, namely the black money hoarders, the corrupt and those financing terror and minimum hardship for the law abiding. Instead, in actual experience the exercise is turning out to be maximum pain for the honest, sincere and law abiding citizens who have only their hard earned savings to live on, as shown by the story of the daily-wager woman who protested outside the RBI, Delhi. 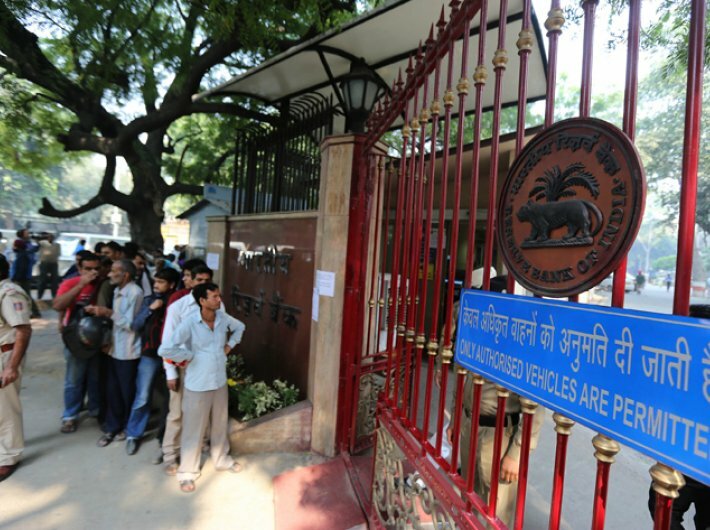 Further, as such exchange facility is permitted only in the offices of RBI at New Delhi, Mumbai, Chennai, Kolkata and Nagpur, even the rich and the affluent belonging to other citizens and towns will have to spend extra money to go to these places. It is interesting that the remaining 26 offices of RBI covering other states have not been opened up. Maharashtra seems to be prized with two locations for this exchange facility. Many think that that currency notes are government property. This impression is completely wrong. The RBI may print currency notes under a statute but that is only coloured paper with a promise to honour it. The actual value of the currency notes arises from the transactions that people enter into every day. The value of each currency note resides in these transactions. The currency notes only facilitate the procedure for transfer of value from one person to another in a lawful manner. It must be remembered that the first coins were minted in India not by the state or by kings, but by srenis and negamas (which in modern parlance may be called trading guilds or chambers of commerce). The state stepped in only as a regulator of the financial transactions in order to protect the meek from the greedy. It is high time citizens realise this truth and shed the mai-baap sarkar mentality which is anathema to a functional democracy. 2) Open up more centres across the country to facilitate this exchange up to June 30 as has been permitted for NRIs. Anything less will be a violation of Article 14 of the Constitution where every person (and not just a citizen) is guaranteed equality before the law and equal treatment by the law. It will also be a violation of the promise - sab ka saath, sab ka vikas which the National Democratic Alliance made during the 2014 general elections.